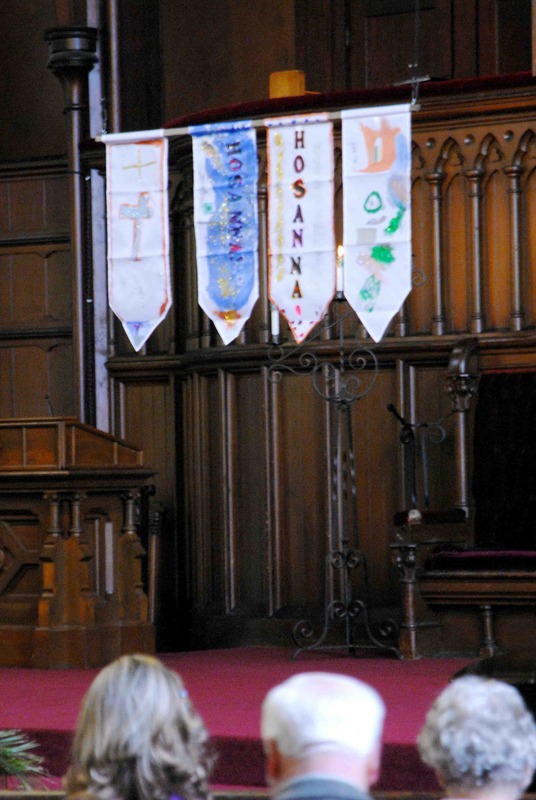 A few years ago, this worship was one of my beginning attempts to integrate children in worship. At the time, we were just starting to get a good number of children and the parishioners were slowly getting used to having kids in worship. I usually do not like to put children on “display” in worship. I am very intentional about having children be a part of worship and not inserted into worship. 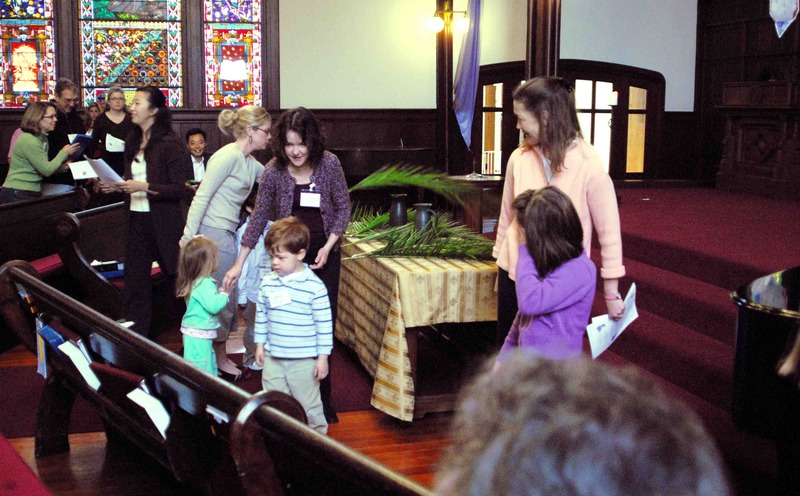 However, this worship service was to balance between introducing liturgical elements to kids as well as having the congregation open to having kids participate in worship. 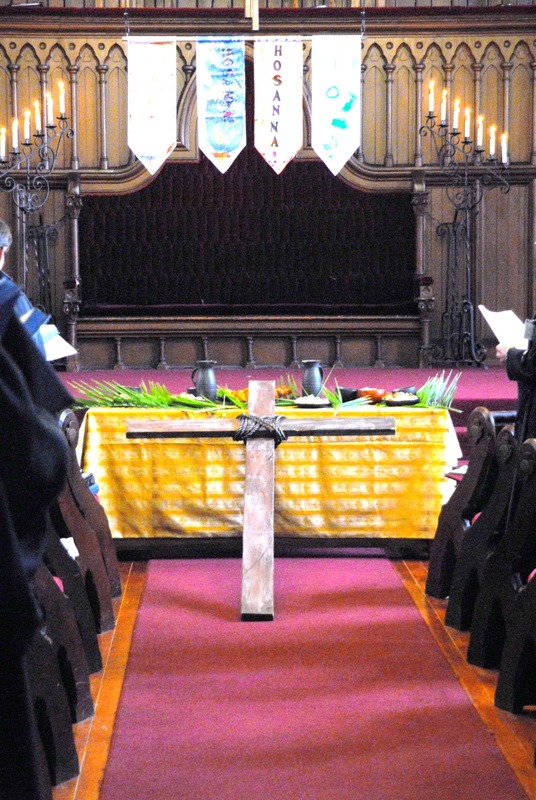 Although this worship was on Palm Sunday, it was also Communion Sunday. This week also fell on Spring Break for most of the kids so I knew they wouldn’t be in church all week. So this service covers the events of Holy Week as well. 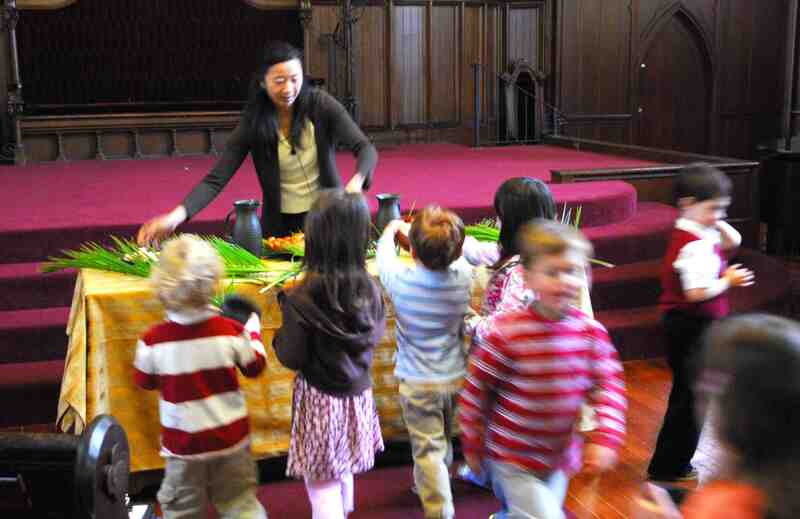 As we listen to different parts of Holy Week, the kids helped set the communion table with different symbolic elements. 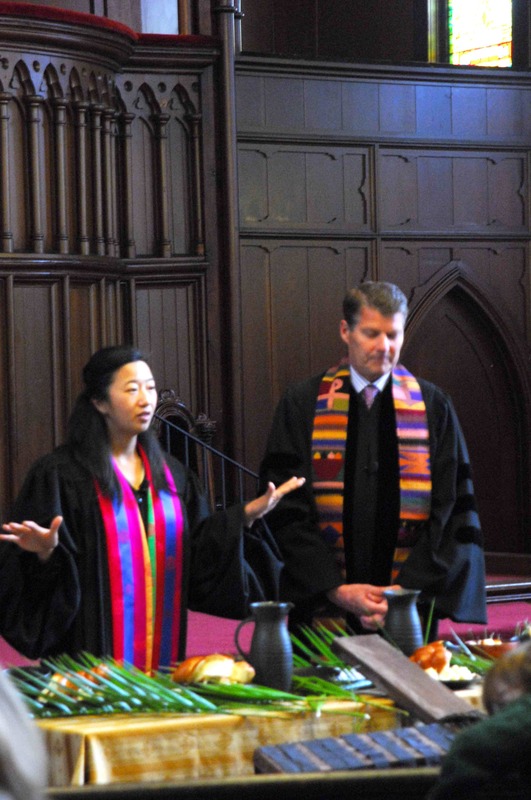 I think there are pieces in this service that can be adaptable to any traditional worship as well as those who are at the beginning stages of having children integrated into worship. This part that I am sharing happened in place of a sermon. During the service, there were different Holy Week themed crafts for the kids to decorate. It isn’t super duper creative or inventive. 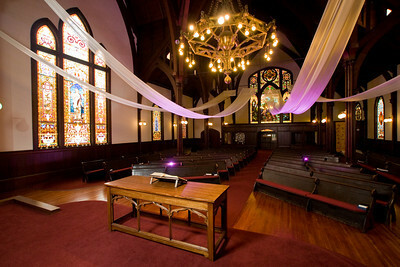 All the hymns can be found in most traditional hymnals. What I hope to convey is that sometimes all it takes is some simple liturgical elements to make all the difference for all ages to feel invited to participate in worship. In Sunday School, the kids made Palm Sunday banners. 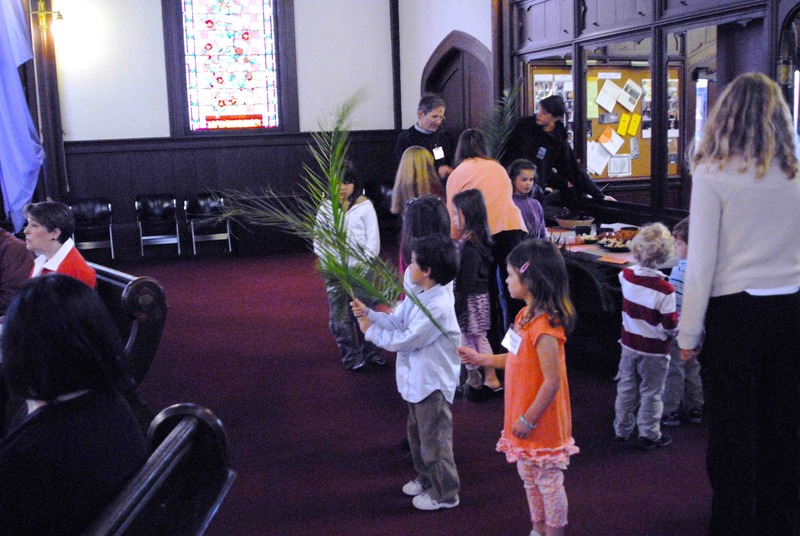 Children waved palm fronds around the sanctuary as the congregation sang the hymn. 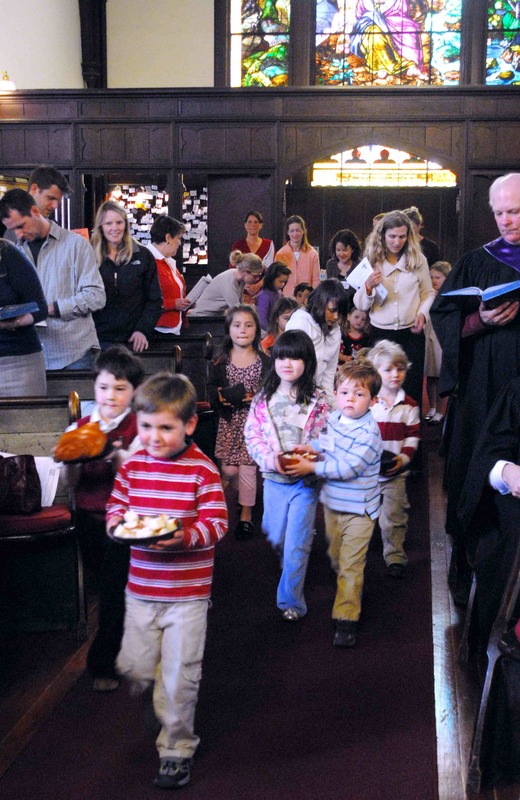 Children brought up the chalices and loaves of bread to the table while the congregation sings the hymn. 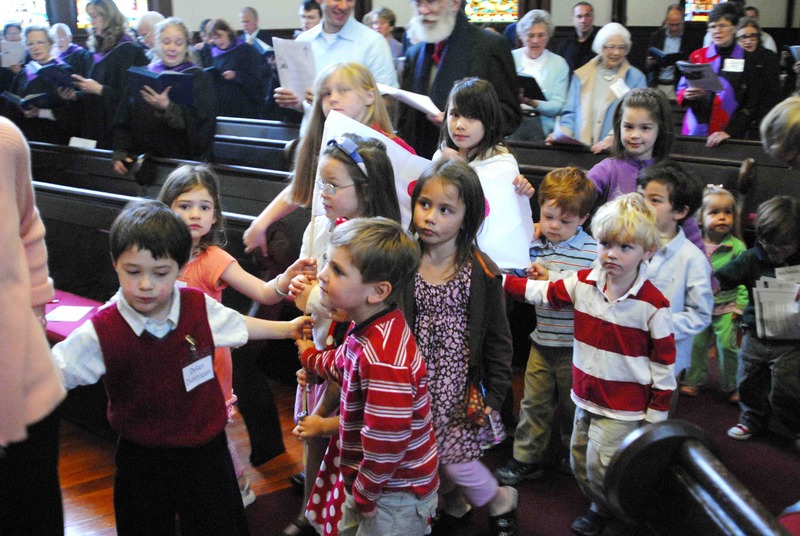 As a counter image to walking alone, the kids linked arms and walked together around the sanctuary. 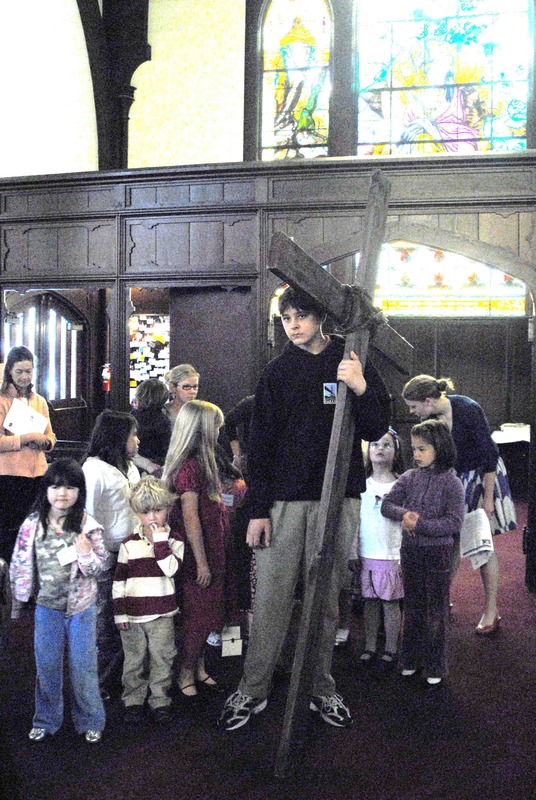 A youth brought up a wooden cross to the table and the kids brought up little crosses while the congregation sang the hymn. 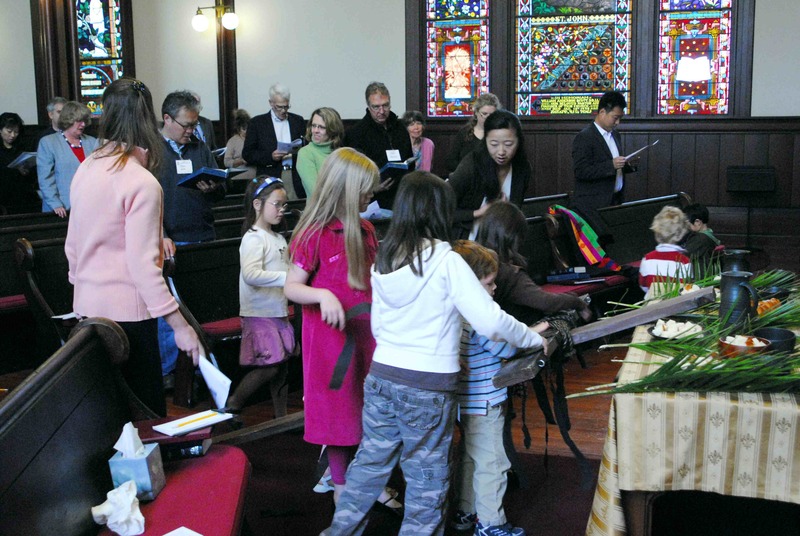 Children draped black streamers on the cross while the congregation sang the hymn. Heaven and earth reflect the mystery of thy handiwork. Men and women are recaptured by the event of Bethlehem. In thy hand, we see the scar of the cross. Sin and death are vanquished by thy suffering on Golgotha. Day and night are transformed in the glory of Easter morning.